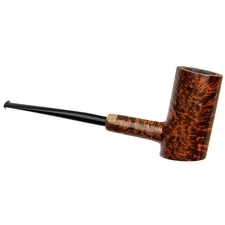 A design combination of Tom Eltang's signature Poker and Arne Jacobsen pipes, the latter of which emphasize minimalist design in accordance with Danish architect, designer and pipesmoker Arne Jacobsen's philosophy of removing the extraneous. 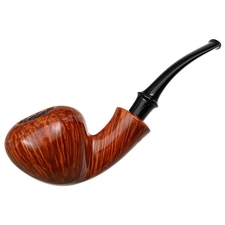 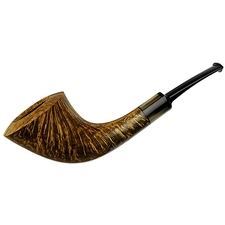 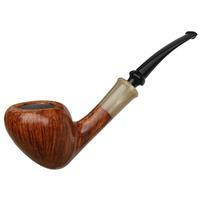 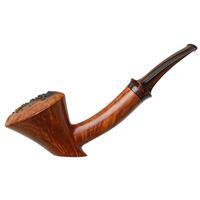 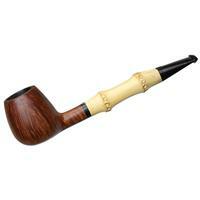 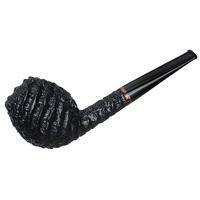 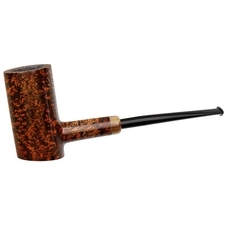 It's also Tom's interpretation of the type of pipe Jacobsen actually smoked. 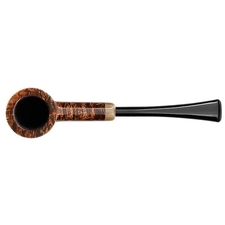 Tom's Arne Jacobsen pipes feature long, thin stems, pencil shanks and almost always include a horn military mount, as this pipe does. 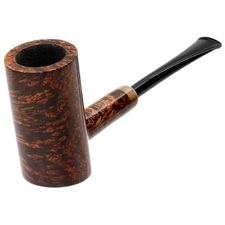 However, this is a departure: Rather than the tapering, almost Dublinesque bowl, here we have Tom's Poker bowl, a stacked cylindrical configuration. 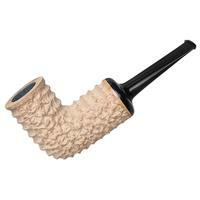 One generally sees these in Tom's craggy rustication, but here's a rare smooth version with cross-grain, with spectacular horizontal grain and birdseye. 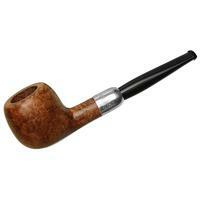 Outside Diameter: 1.09 in./27.69 mm.